Underfloor heating is no longer a luxury. Modern technologies offer the layman various options for warm floors, for every taste and every budget. 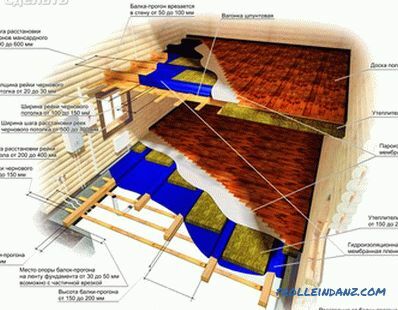 Installation of a warm floor is simple and it is quite possible to do it yourself, while significantly saving on workers. The only drawback of the electric floor is the high cost of electricity payment services. If the decision to install electric flooring is made, it remains only to choose the appropriate option. 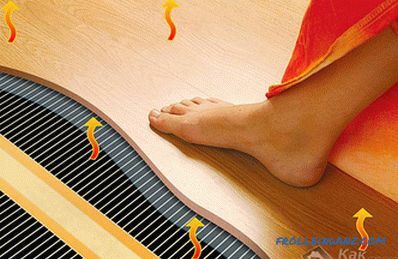 In this article we will look at how to choose an electric floor heating under the laminate and tile. 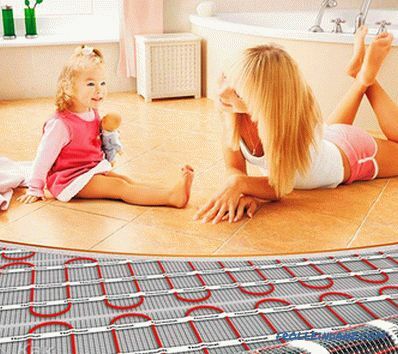 Electric heating system the floor can be installed in various rooms: in an apartment, country house or cottage. There is no need to install pipes and connect them to central heating pipes. The installation of an electric floor is simple and fully feasible on its own. 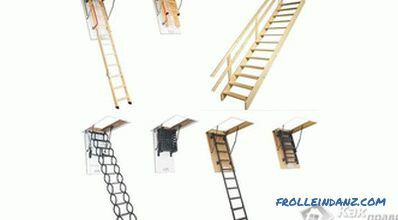 It is enough to lay the cable, according to a certain scheme, and connect it to the electrical network. 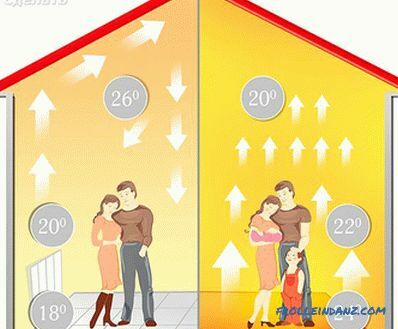 It is easy to maintain the desired floor temperature with various control systems. It is possible to configure the system of the automatic activation timer, for example, in the garage. Then at the time of departure, the room warms up, which will greatly facilitate the start of the car engine. The installation of an electric heating system will not require any permits, thus saving time for walking around instances and standing in line. 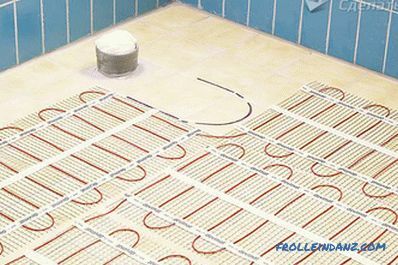 It is possible to choose an electric floor heating system depending on the material possibilities. Electric flooring is an ideal option for heating small rooms: a balcony, a loggia, a bathroom. in the event of malfunctions, the electrical floor heating system is easily dismantled and the breakdown is eliminated. The laying of the cable should not go under the places where there are interior items (wardrobes, sofas or beds), heavy household appliances and plumbing. All heavy items should be located at a distance of at least 20 cm from the cable. It is advisable to make a gasket scheme so that in case of repair or relocation of furniture, it does not damage the entire heating system. Today, the building materials market offers a huge selection of different floor heating options. 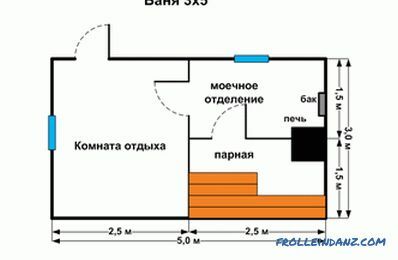 What a warm floor to choose, so that it came under the tile, laminate or linoleum. It was also economically profitable and had low rates of electromagnetic radiation. 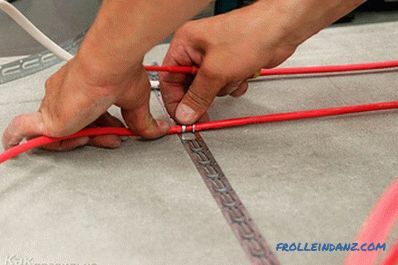 Heating mats are a special construction of fiberglass with a cable inside. This type of heating is great for tile. Mats are laid in a layer of glue, which is then attached to the tile. the tiles are heated very quickly. Heating element in such a system - it is a thin film. Most often, this type of warm floors is used under the laminate. 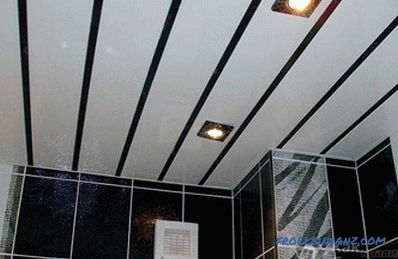 film can be installed not only on the floor, but also on the walls or ceiling of the room. Cable electric system heating is a cable with high m electric resistance in a Teflon insulation. Such a heating system is laid in a sand-cement screed.Cables are of two types: single-core and two-core. Experts recommend using a two-core cable. It is more reliable and produces the least amount of electromagnetic radiation. 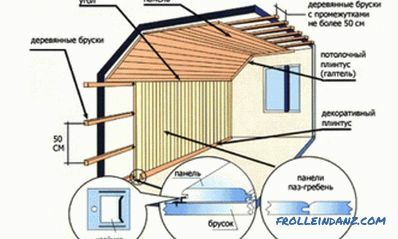 high-quality heating, which can be used as the main one. heat floor system operation is possible no earlier than 1–1.5 months after the concrete has hardened. cable system is ideal as the main heating of premises of any size.